Oh Yeah! 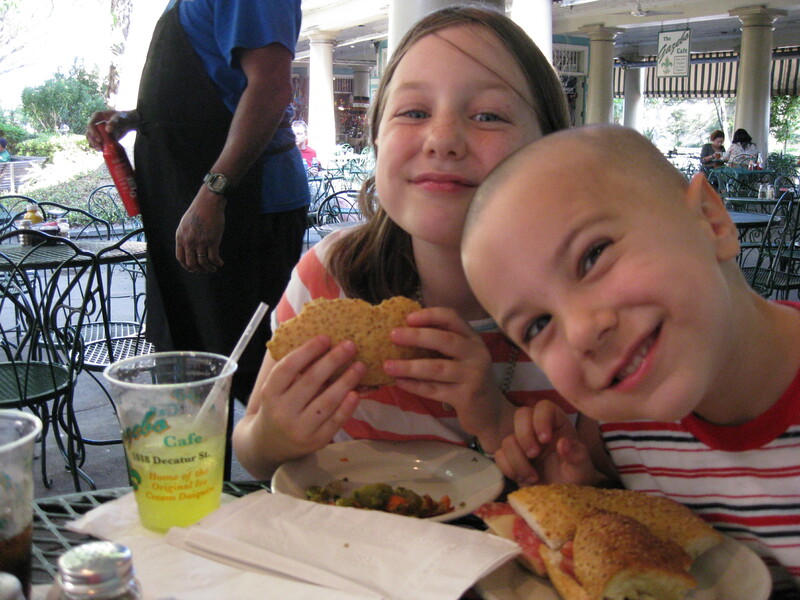 This was, quite possibly, my favorite part of our visit to New Orleans. It might be my favorite part of our travels,period. Finding good food is always an adventure. Sometimes you get great food, bad atmosphere, creepy parking, or you might even just give up on the hunt and go home for some pb&j. We had some great luck in finding good food every time we went out looking for it. One of the reasons we had such good luck was our tour guide Sarah. If you didn’t read our last post on the tour we took, you can see it here. She gave us her phone number so we could find her if we needed anything while in the city. Of course I took advantage of that and used her as a sounding board for places to eat!! So, in no particular order here are the items and places that we found around town that got our taste buds salivating! This might have been my personal favorite. I love coffee. Really. I could bathe in it. 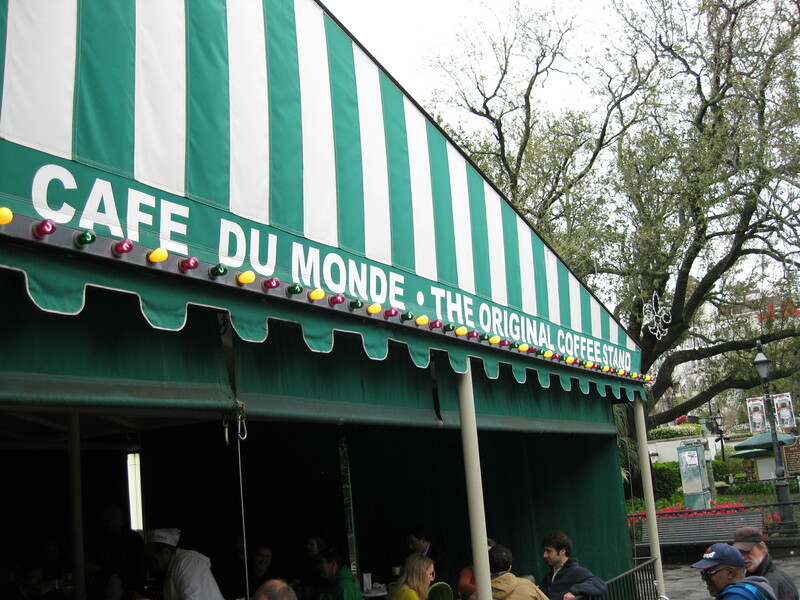 However, coffee in New Orleans is a bit different that coffee you will find anywhere else. And it’s because they have a not-so-secret ingredient. Chicory root. Back when coffee was a luxury, chicory root, made from the roots of the endive plant, was used as an additive and flavor enhancer to the much sought after cup of coffee! Somewhere along the way, New Orleanians developed a taste for the chicory root and is now a star ingredient in the popular local drink called Cafe au Lait. 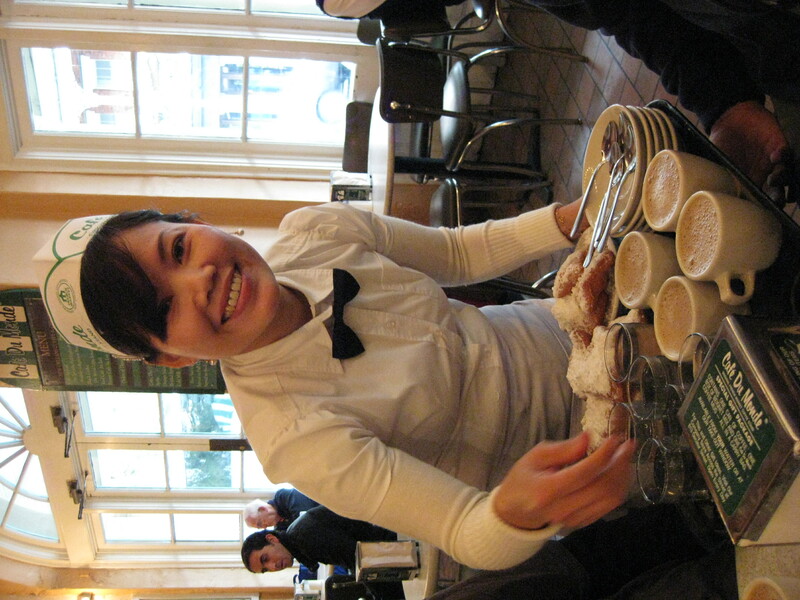 Now, if you’ve been to the Quarter, you know that there is something that goes along spectacularly with a Cafe au Lait. Beignets. Yep….those things that Charlotte wanted Tiana to make in The Princess and the Frog! And I gotta tell ya…they taste a whole lot like an elephant ear…and just as messy! Basically fried dough smothered in powdered sugar. But they were tasty and we really enjoyed them! 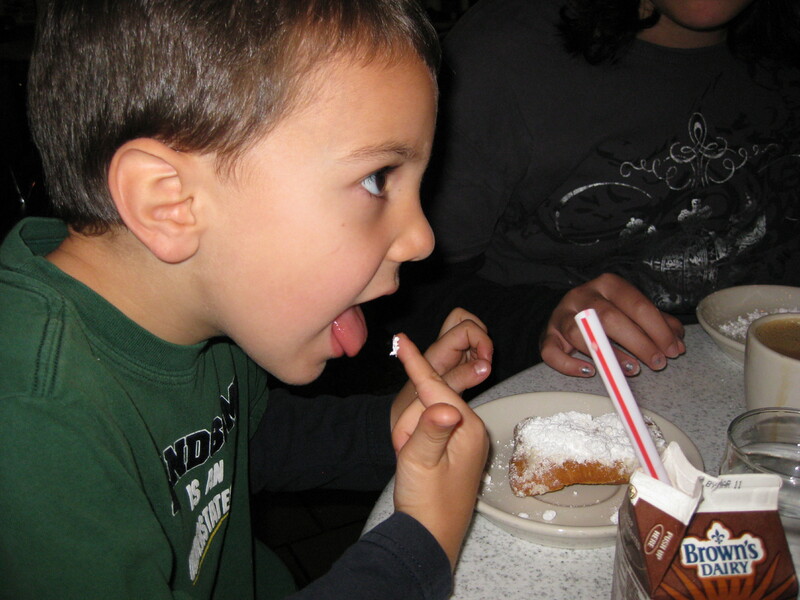 Sy liked to just lick all the powdered sugar off! 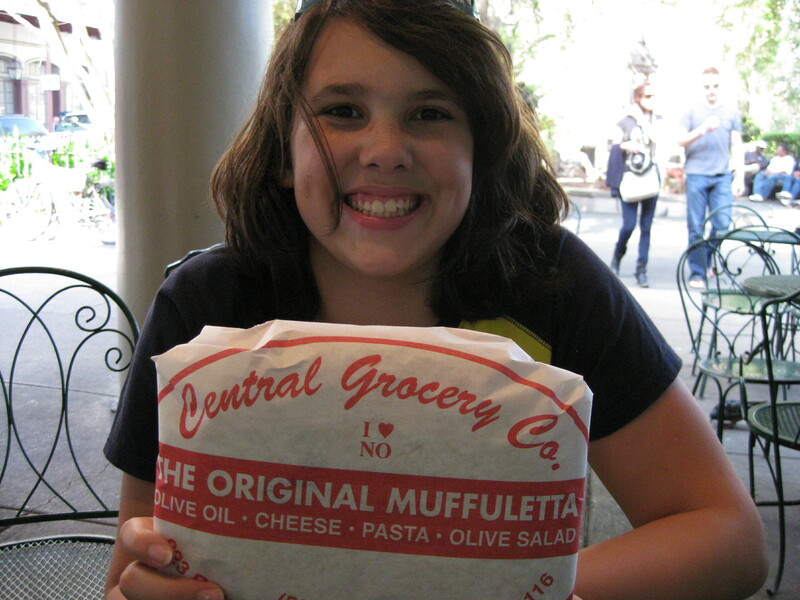 Ok, next up….we had heard and read a lot about Muffalettas (or Muffuletta). So we figured we’d better try one. The question was where from and hot or cold? 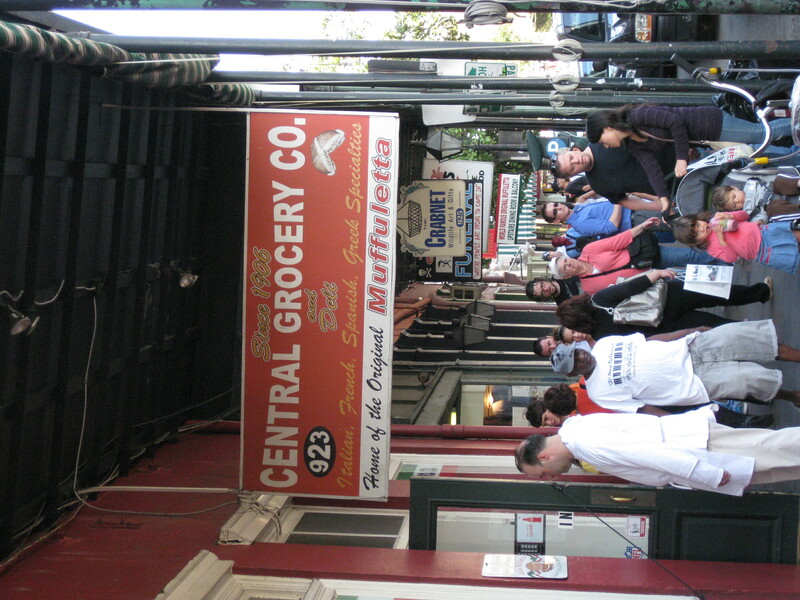 Enter Sarah….she suggested getting a cold one from the Central Grocery in the French Quarter. This place was pretty cool….old style grocery store with a sandwich counter and a few seats in the back. 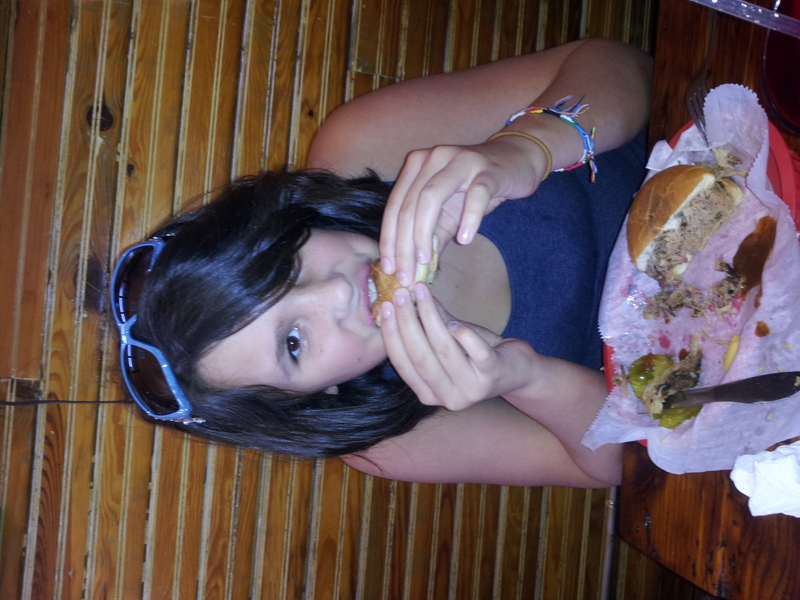 But we just took ours to go….we were going to eat outside at a place where we could get a warm Muffaletta and compare! We found this place: Gazebo Cafe They were very friendly and didn’t mind our comparison lunch! The verdict? It was a tie. Grace preferred them cold. I preferred them warm. And Annalea and Sy just liked them! However, there are a TON of olives on it. So, in honor of Cha-chi we did try it with them on….but quickly realized that none of us like olives! On Saturday we were in the mood for pizza. But not just any pizza. We really wanted to find something local that wasn’t a chain. 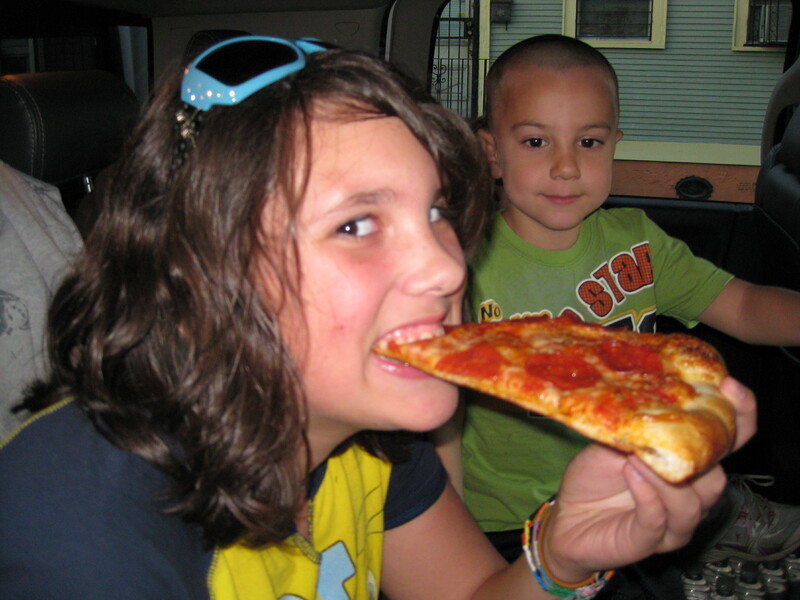 Pizza Hut and Papa Johns just wasn’t going to cut it. Through my searching I found a place called Pizza Delicious. This place was intriguing from the start. They are only open Thursdays and Sunday, their website is just a blog, and they are a walk up joint. If you check out their site, you’ll see that they are just some folks with a knack for making amazingly delicious pizza. They rent out a community kitchen twice a week (obviously on the days they are open), make a certain amount of dough and then sell pizza’s until they run out. I loved it immediately. I called in at noon to make sure that I could get a pickup time that was close to dinnertime for us. I had read that if you called at dinner, you might not get a pie! And I LOVED that they use local ingredients in combinations that I’ve never even thought of trying. 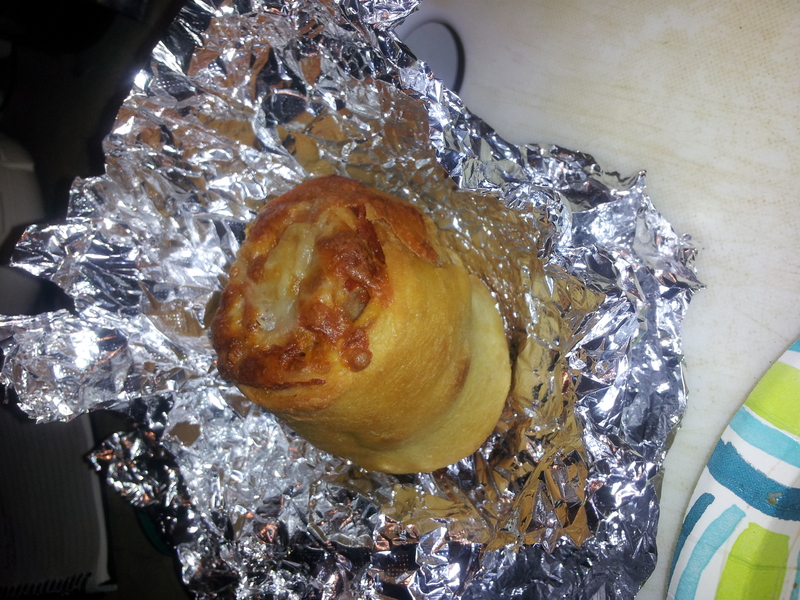 Too bad I couldn’t eat a whole pizza by myself….I had to settle on a plain cheese and some pepperoni rolls and garlic knots. How good is it you ask? 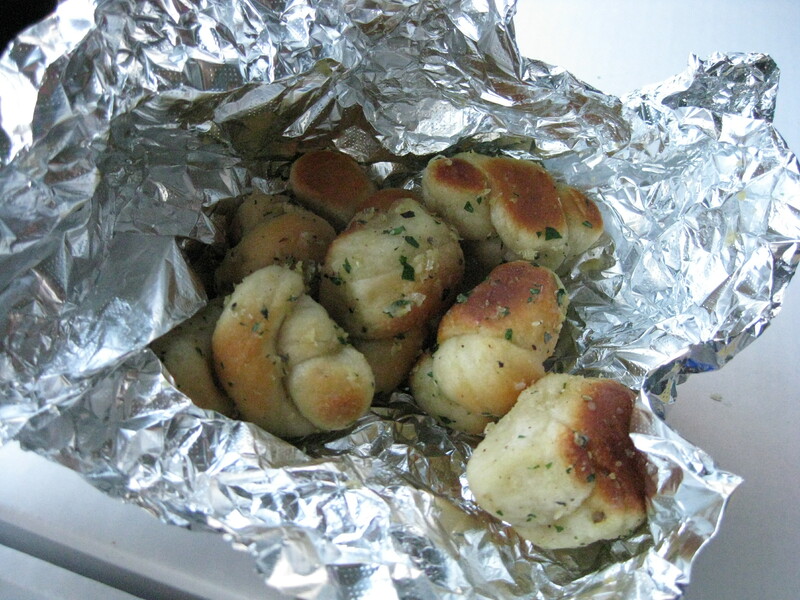 Let’s just say that the garlic knots didn’t even make it home….the fresh garlic and butter made them just melt in your mouth….mmmm-mmmmm. 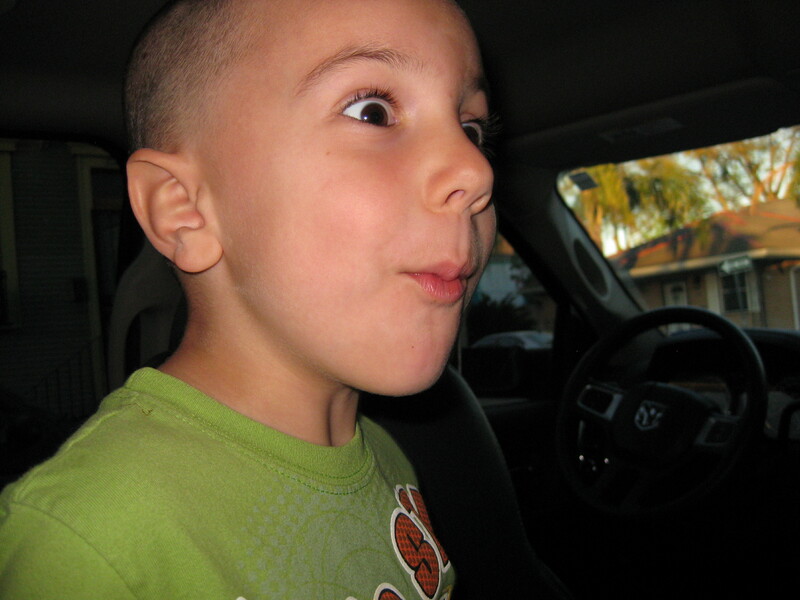 Here was his face after said bite! We also ordered two of their pepperoni rolls. I was really surprised by them when we bit into them….there were no less than 4 layers of pepperoni and cheesy bready goodness!! These could be a meal all in itself! And here are the wonderful folks who made our DELICIOUS pizza! It really was a great pie! The crust was thin and had just the right balance of crustiness and chewiness. The sauce wasn’t too heavy and the cheese wasn’t greasy. It really was Pizza Delicious! Thank you guys for such a great dinner! You can bet we’ll return when we come back to New Orleans! And last but not least was a restaurant renowned for its BBQ. It’s called The Joint. 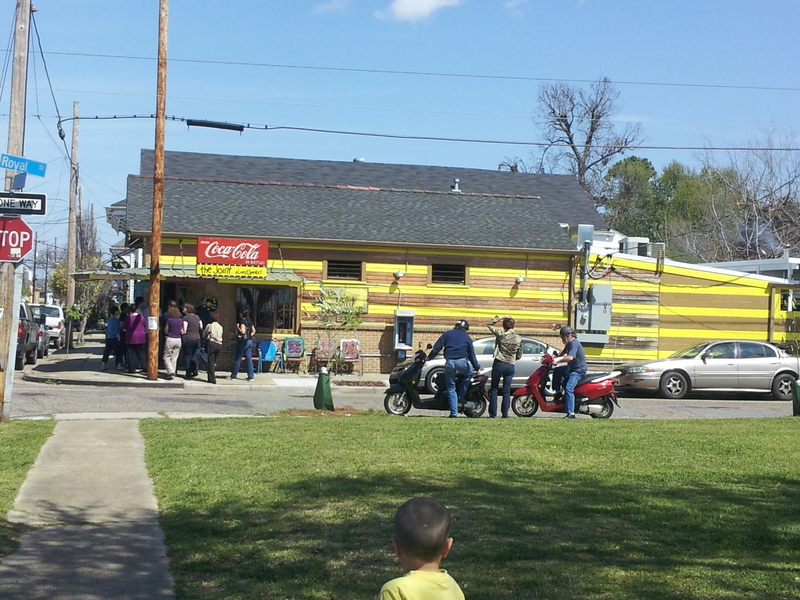 They had massive amounts of yummy BBQ at a reasonable price. But you need to get there early because the line starts before they even open! We got some really great food….you have to walk up to the counter to order and pay and then they holler out your name to grab your order…it felt like a mad scramble to meet in the middle to get your food, but in a good way 🙂 It was hot, big and very tasty. 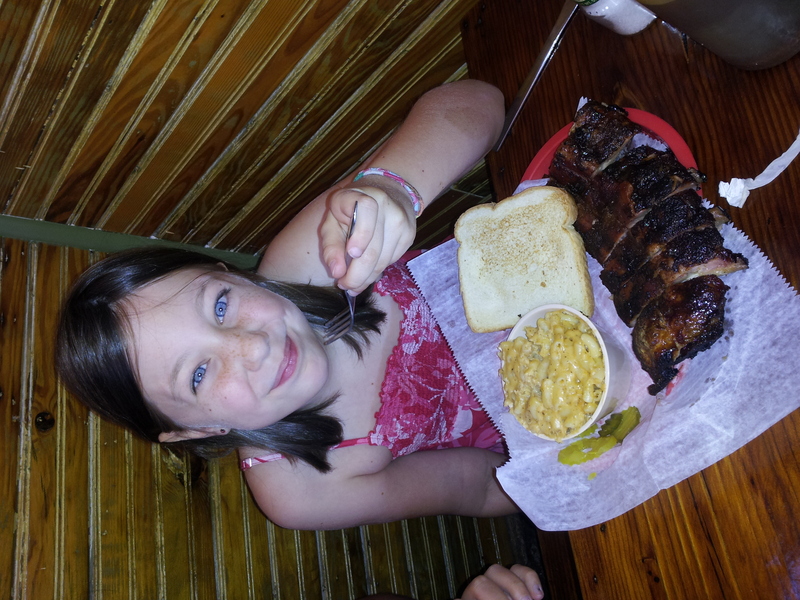 We tried a bit of everything….ribs, mac and cheese, pulled pork and some bbq chicken on a salad. We were all quite full when we left! (except Sy…the mac and cheese was a bit spicy and he went through almost a full glass of sweet tea, poor kid). That about wraps it up for our good eatin’ in N’Awlins! Hope you enjoyed the post and maybe will take some ideas from our travels on where to eat if you ever head there! Have a great weekend everyone and stay tuned….there’s some fun stuff in the works! Previous PostWho Dat Nation (no, I’m not a Saints fan)Next PostCleaner washing for the Travelling Awesomes!